Millions of users engage with brands through video every day. Is your company one of them? If not, then it's high time that it should be. AdMedia is proud to offer VideoSense, our advanced video advertising platform that enables you to display dynamic video ads various on locations and on different types of content. 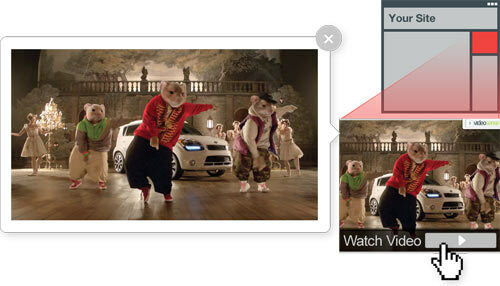 VideoSense offers a video overlay solution that allows you to play your sponsored content on relevant websites. The beauty of overlay ads is that you'll stay above-the-fold at all times, guaranteeing that your message will be seen and heard. VideoSense also lets you display video ads on search results, enabling you to get in front of users who are looking for exactly what you have to offer. Need to touch base with your on-the-go customers? Not a problem. VideoSense also supports mobile-friendly video advertisements, allowing you to connect with consumers even when they're out and about. Take your video campaigns to a whole new level. Get in touch with an AdMedia rep today!